The software upgrades announced by Apple at the Worldwide Developers Conference (WWDC) in many ways epitomised the ongoing shift in the mobile market. When the first 3G and 4G networks were being envisioned, the modern smartphone was barely a consideration. Indeed, the concept of a smartphone at all was limited to some curiosity Nokia handsets and whatever Microsoft’s mobile division was working on at any given moment. The advent of the iPhone in 2007 (and the Android devices that have competed with it) changed everything. Over the past decade, operators have looked to handset manufacturers to deliver new features that will encourage consumers to use their devices more – consuming more data, making more calls and sending more texts in the process. But in the past few years, smartphone sales have slowed and even declined over one three-month period in 2018. People are upgrading their device less frequently as the rate of smartphone innovation has slowed. Meanwhile the number of connected devices is set to grow astronomically, with wearables and other gadgets connecting to mobile networks. Data consumption has of course increased dramatically as smartphones become integral to our every day lives, but there has been a growing desire to restore a work-life balance. Only this week, X-Factor supremo Simon Cowell said he had been happier after ditching his phone for several months. 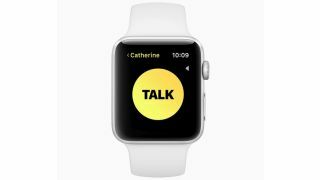 Apple’s decision to introduce new tools to iOS 12 that make it easier to reduce smartphone use is indicative of this trend, while the new standalone features in watchOS 5 – especially the cellular edition - will make the Apple Watch more appealing. The Apple Watch Series 3 added cellular connectivity, but it is only limited to a number of applications, most of which are first-party. The addition of Walkie-Talkie communication, Podcast sync and more interactive notifications make it a much more tempting prospect than it was before. And it adds further strength to the argument that it will be the IoT, not smartphones, that will drive 5G adoption in the early years. That’s not because smartphones are any less cutting edge, but because the sheer pace of innovation in the early years was always going to be unsustainable. Mobile operators might be slightly concerned that Apple is actively introducing features that will encourage people to use their phones less, but so long as they’re still using their devices enough (and the data suggests they are) that they continue to sign up for a large data bundle, the networks will be happy. In an era of smartphone saturation and dwindling traditional revenues, it is the new connected world that will drive growth.